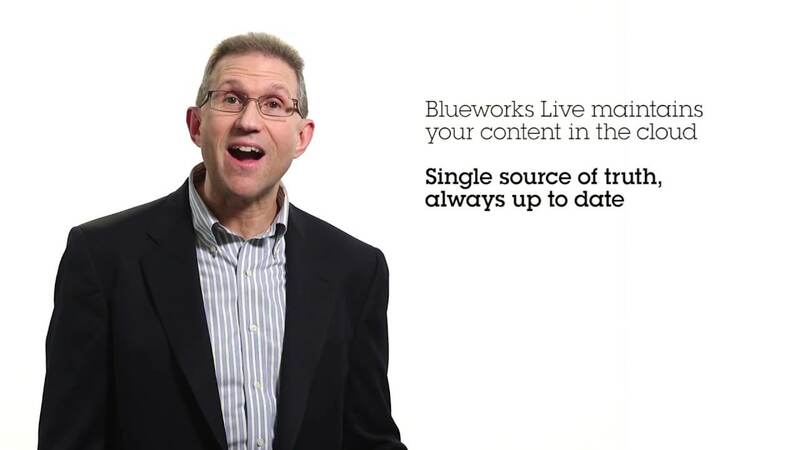 IBM Blueworks Live™ is a business process modeling tool that helps you discover, map and document your processes. It is easy to use, allowing you to learn and perform business process modeling in minutes. Build business processes using a straightforward, cloud-based interface designed for both IT and business users. Identify and streamline manual and repetitive tasks so individuals can address higher priority items. Create a central process repository so users can dynamically share, change and publish workflows across the organization. Access all of the features and functions of Blueworks Live including the ability to create or edit processes, decisions and policies. View and comment on processes, decisions and policies without process or modification capabilities. Discover how this electronics company consolidated its global quality management systems processes using Blueworks Live. Read about how this distribution company is using collaborative process management to unlock new levels of employee productivity. Find out how this bank created thousands of reusable process artifacts using Blueworks Live.